Geek Grotto - Get Your Geek On! : Synology Releases The DS1515 And RS815! Synology Releases The DS1515 And RS815! 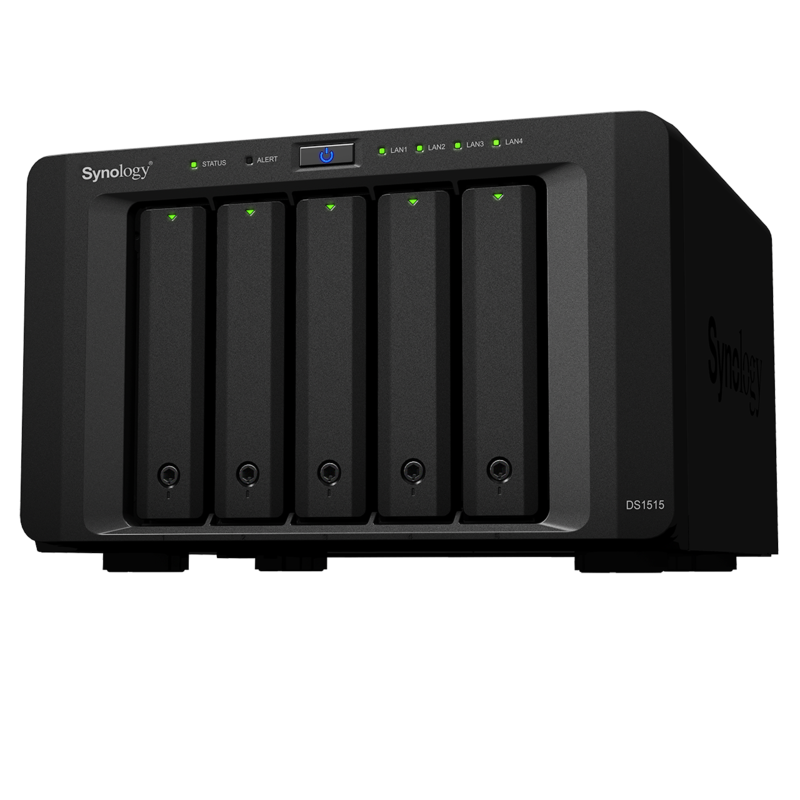 If you are in the market for a NAS for home or small business, Synology has you covered today. The 5-bay DS1515 and 4-bay 1U rack mountable RS815 are now available for purchase. Running DSM 5.1 (5.2 is in beta), the DS1515 features 4 Gigabit ethernet ports and a quad core, Annapurna Labs Alpine AL-314 1.4GHz CPU and 2GB ram. The RS815 runs on a Marvell Armada XP MV78230 Dual Core 1.33 GHz CPU with 1GB of ram. With hot swappable ability for the DS1515 and the RS815, users can easily configure and manage RAID for better reliability and avoid downtime. The DS1515 can use High Availability – in case a server fails, there is a seamless transition to another server that is in the cluster, so operations can continue. The DS1515 also has four Gigabit LAN ports for network redundancy for unexpected hardware failure, and hot swappable drives that minimize system downtime during drive replacement.